I thank whatever gods may be for the gift of adoption. Do I ever question my decision to adopt? Never. People often ask how I do it, and the answer is simple: To whom much is given, much is required. 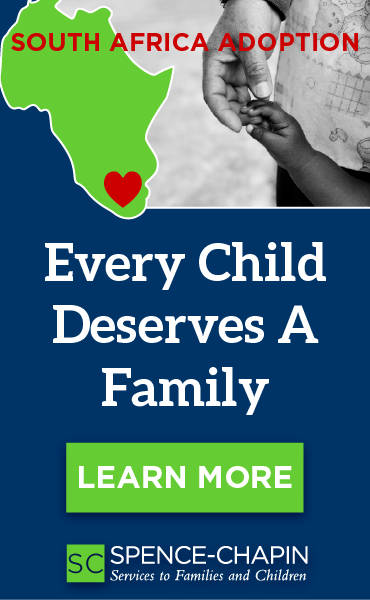 According to the Congressional Coalition on Adoption Institute, there are 397,122 children in foster care, and I reduced that number by two. But as I revel in motherhood, happily exhausted and proudly displaying battle scars of parenting, every now and then, I am reminded that I am not their first mother. Two days before Mother's Day this year, I asked my son if he thought about his birth mother during this time of year. There's also the tsunami of images of happy mothers -- Western mothers, young mothers, Black mothers, white mothers, Tiger mothers, all mothers -- contentedly canoodling with their adorable children. It is enough to make your heart burst. Or, depending on your relationship with your child, set you up for big disappointment. It's all so beautiful and complicated, and it's even more so for adoptees and adoptive mothers. 1. I want (need!) to know what he is thinking. At 8 years old, he is a kind, loving, and bright child who seems to take his alternate parentage in stride. Still, I worry a teensy bit that he'll have a Mt. Vesuvius-sized eruption over his adoption when he hits adolescence. Only time will tell. 2. All children need a safe space to share their feelings. Ideally this means that he can ask me anything about anything. Even if I don't know the answer or like the question, he knows that I am a safe adult and will honor his feelings by listening. So far this is working, but he's only in the second grade. Often adopted children fear that asking about their biological families is an act of betrayal, especially if their household is stable and loving. These sensitive souls also put their parents' feelings first, not wanting to hurt or anger the people who show up for them -- and instinctively taking on the role of an adult. Likewise, adoptive parents are slow to bring up the topic of adoption. They worry that they will be called forth and forced to provide details. And, uncertain of how their child will handle opening Pandora's box, these parents practice avoidance. But one can only run for so long and, in this instance, discretion is not the better part of valor. The ongoing unspoken conversation between adoptee and adoptive parent is the gateway for a lot of confusion later. Children do not understand that the parent's feelings are not about them, but the circumstances. Whether it's infertility or a disrupted placement or not wanting the adopted child to feel separate from them, adoptive parents inadvertently make the situation bigger than it really is. Offering age-appropriate nuggets like the birth parent's birth date or name can serve dual purposes: The child has something tangible he can connect with and the parent is off the hook for a little while longer. My children and I are enamored with each other and yet there is a void they each carry. It's a hole that I, their adoptive mother, cannot fill. So I have already promised that when the time is right, I will help him find his biological parents. In the interim, I check in, which is why two days before Mother's Day, I asked if he thought of her. He was quiet and then responded, "I think that she is next to me," motioning to the space beside him. That took my breath away. I quickly recovered and asked if that brought him comfort. Though he hasn't seen his birth mother since he was an infant, he saves a place in his heart for her, reminding me that love perseveres. Nefertiti Austin is a U.S. History college instructor and a certified PS-MAPP trainer who co-leads classes for adoptive and foster parents. 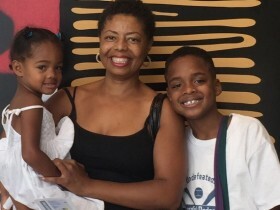 She blogs about adoption at mommiejonesing.com, and is currently working on a memoir about adopting as a single woman of color. Austin lives with her children in Los Angeles. This article originally appeared on mater mea, a website that celebrates women of color at the intersection of career and family. Visit matermea.com for more great articles on work-life balance from a Black woman's perspective.